Etisalat Nigeria that was rebranded to 9Mobile and since then, lots of things have changed such as the name the logos including the apn and gradually subscribers will adapt to the changes. For now the name Etisalat still echoes in the mouth of subscribers when referring to 9mobile and it is not surprising as similar thing was also witnessed when Zain changes to Airtel until subscribers started getting used to the Airtel name, but with time, we expect everything to change also for 9Mobile and for people to start getting used the 9mobile name. However we noticed that the APN was not automatically changed, if your an old user of etisalat that is now 9mobile you are going to make the change by yourself manually. 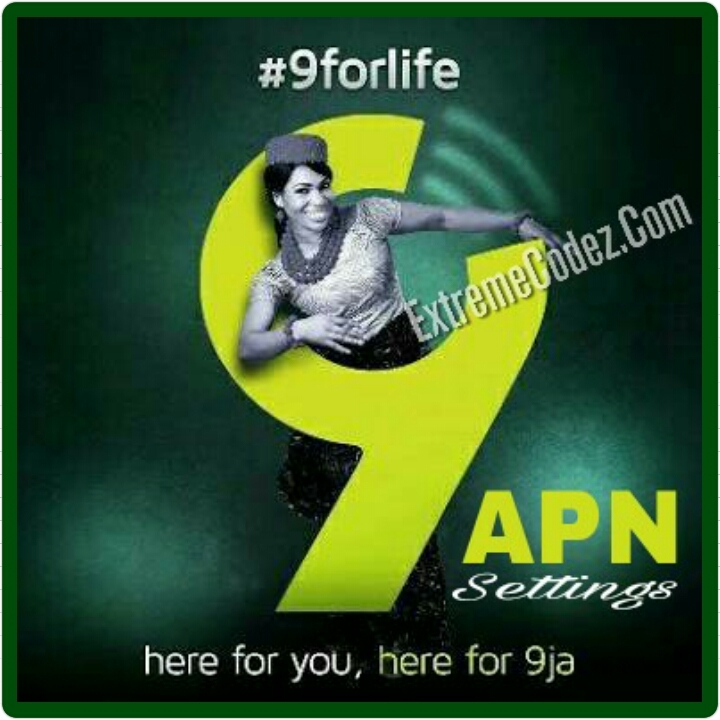 from your Access Point Name (APN) of the newly transformed 9mobile brand, you might be having some issues about your phone not browsing with the 9mobile network don't worry it may be the cause of the old (APN) in other words we are going to be highlighting how to manually set the 9mobile APN for internet access. The APN set up is almost still like the manual setup for Etisalat APN that you are familiar with, the manual APN configuration for 9mobile followed the same pattern. To manually configure APN settings of any of your device that you are using 9mobile SIM/network with, all you need to do is to go to the APN settings of the device to configure it. HOW TO LOCATE APN ACCESS POINT NAME AND CONFIGURE IT? And then, click Cellular Networks. If your phone is using two sim at the top you will see the names of the sim/network you can switch to any. After that, click on Access Point Names. After that, tap on the three dots at the top right and then Save your settings and you are good to start surfing the internet with your device if you have airtime or active data subscription on your 9mobile line. You can still check out the latest 9mobile free browsing cheat from "HERE" for settings on how to browse the internet for free.